Just when I thought the end of these news websites was upon me, I get a comment on my YouTube Channel about Died-news.com. Of course if the website had the word, “news” in it, I could only assume that it was a scam. So, what do I know about Died-news.com? Be sure to read my Died-news.com review in its entirety to find out! Died-news.com is an online website which is free to join and that gives users the chance to earn thousands of dollars online just by reading the news. This site claims that they can offer users a chance to earn anywhere between $5 to $7 Just to read every piece of news that they offer. They also offer the chance to earn up to $150 per person that you referred to the program and earn as much up to 20% of their earnings. Unfortunately, this is not a program that is actually legit. It is one of those too good to be true opportunities. If you go through several of the posts on this website, the one thing that you will begin to notice is that it may look somewhat similar. For me I recognize the different posts almost immediately because they look and are identical to other websites that I have reviewed in the past to other websites very similar to this one. Some of the websites that these posts are identical to are known scam sites that I’ve actually reviewed on this site. Just take a look below to check out some of the other websites that I have reviewed and see if you notice the similarities between died-news.com and the other sites. What first struck me as surprising at first was how many complaints of non-payment this website was already accumulating. Most people tend to wait more than 2 months before issuing any complaints online of not getting paid by the scam sites. However, unlike those sites, this website has already accumulated a ton of people complaining of not receiving payments or having their payment register as pending. Unlike many legit news sites, the one thing that you will begin to notice with this website is the length of their news articles. Unlike other popular news sites, this website only has news articles that range between one to two sentences in length per article. Now, I can tell you from experience that this is not a news article. It is not even a paragraph! 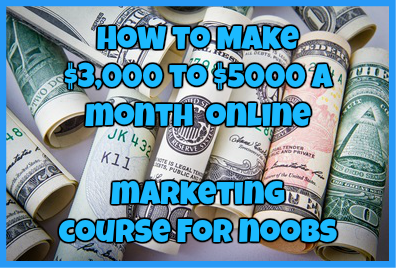 I have been working online for more than 3 years and I can tell you from experience that it is not that easy to make thousands of dollars per week just by simply reading a sentence or two. 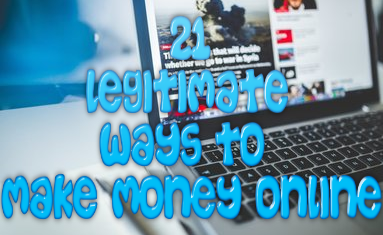 There is no actual legit website that allows you to make money this easily. If that were the case, then nobody would be struggling to make money online today. Just like with all of the other news websites I have reviewed in the past, died-news.com is a known phishing scam. It is actually warned about on websites such as ScamAdvisor.com and even PayPal. The whole goal of these websites is to collect PayPal email addresses which can then be used to withdraw money from at a later date. Even if you do not have money in your PayPal account, nowadays you are still at risk simply because you have to link your PayPal account with a bank account or credit card. The moment the owner of these web sites gains access to your PayPal account they can then have access to your bank account and credit card information as well. I can say with 100% confidence that this is a scam. There are thousands of these websites currently circulating online and nearly all of them have already failed to pay any of their affiliates. If my math serves me right these websites currently ow more than a million dollars to affiliates worldwide. The sad part is most people never see their money. That is why I recommend highly staying away from this website. The only thing that you were going to gain from this is loss of time, loss of energy, and loss of faith in affiliate marketing in general. If I were you I would rather spend my time recommending and referring a product or program that will actually pay you in the long run. 100% Blatant Scam! Stay Away! Have you been scammed by Died-news.com? If so, I would love to hear from you! Simply drop me a detailed comment below. It is a scam. I have over $4000.00 on one account and my husband has $3000.00 on his account and it says pending payment. I am not surprised by this at all. Don’t expect to receive payment either. It will never come.